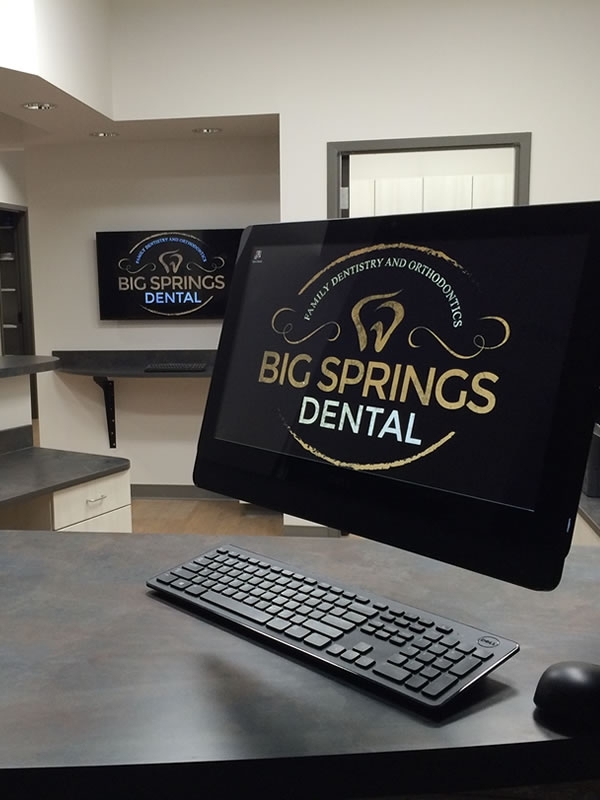 We build complete and polished technology platforms that are secure, reliable and attractive. 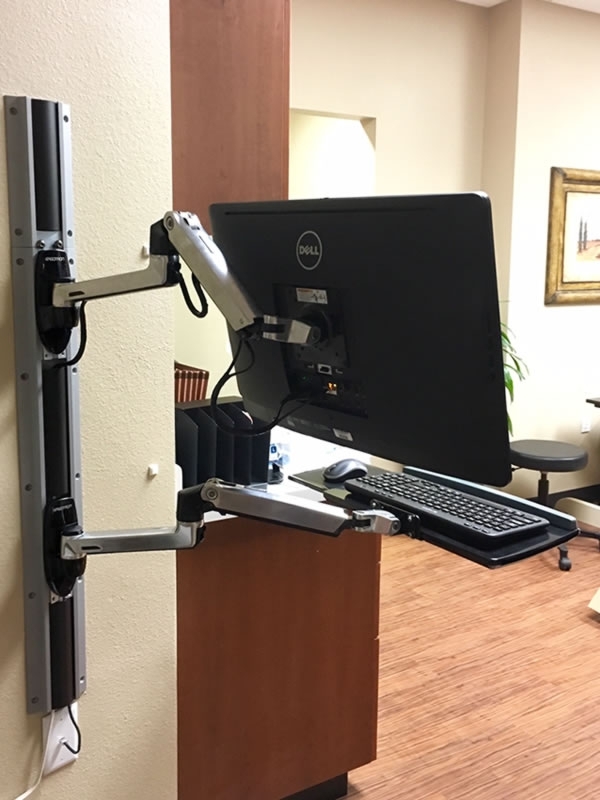 Just another illustration of our very popular floating Pan Viewer / RCU workstation assembly. This is a secondary monitor for a six o'clock workstation used to show patients xrays and for in-chair consulting. 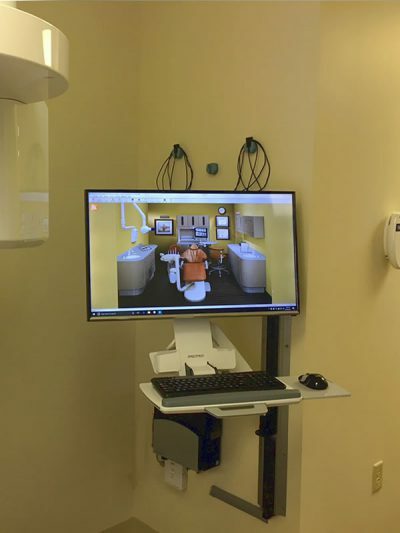 Kid friendly hygiene bay with ceiling mounted TVs to keep them pleasantly distracted. 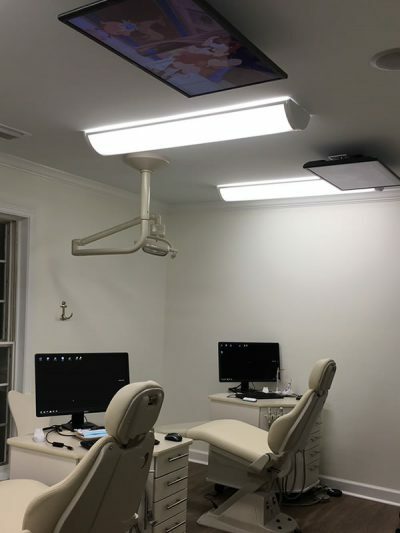 Bluetooth headphones were also installed per chair. 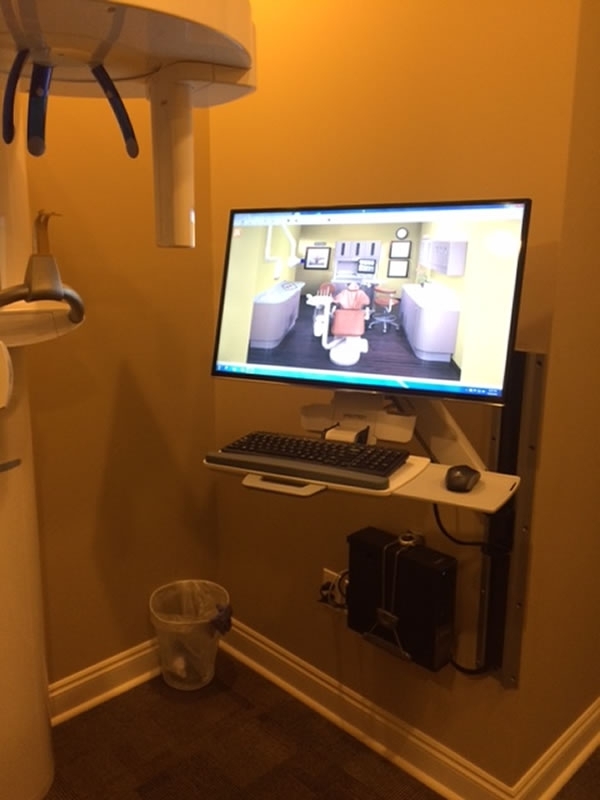 This Pan Viewer station needed to be fit into an existing corner space. The curved floating 32" HD monitor worked well for this install. 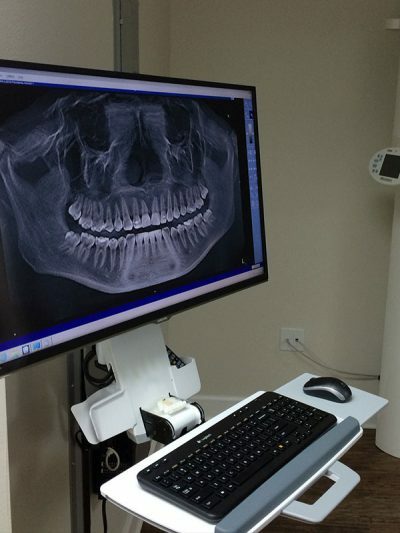 This is a Pan Viewer with a 32" HD LED Monitor for a 3D Panoramic XRay. 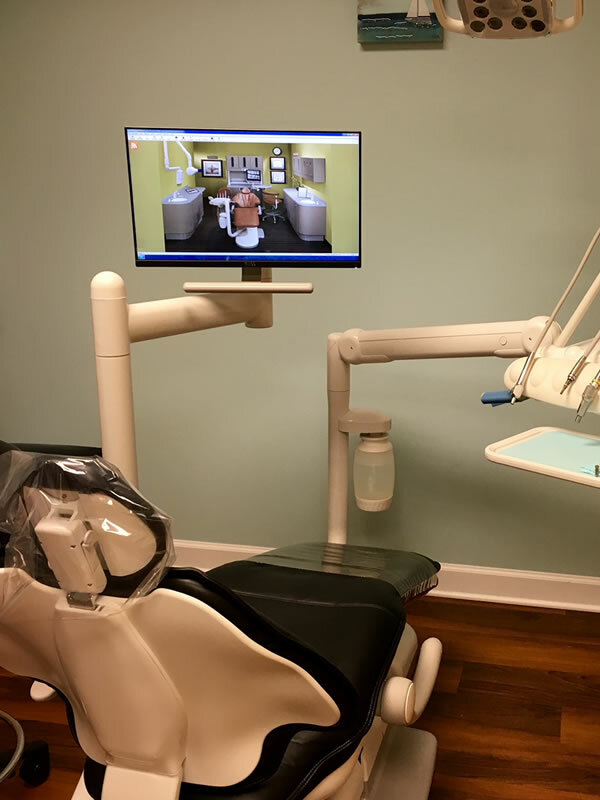 This is a gas assisted floating workstation for the operatory environment. 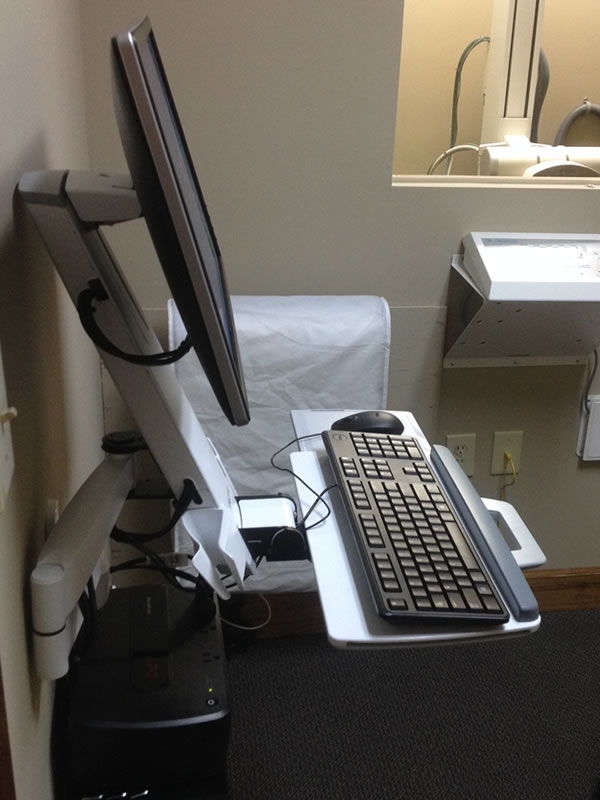 The stow-able system accommodates from a 24" HD LED up to a 32" HD LED monitor, keyboard and mouse. 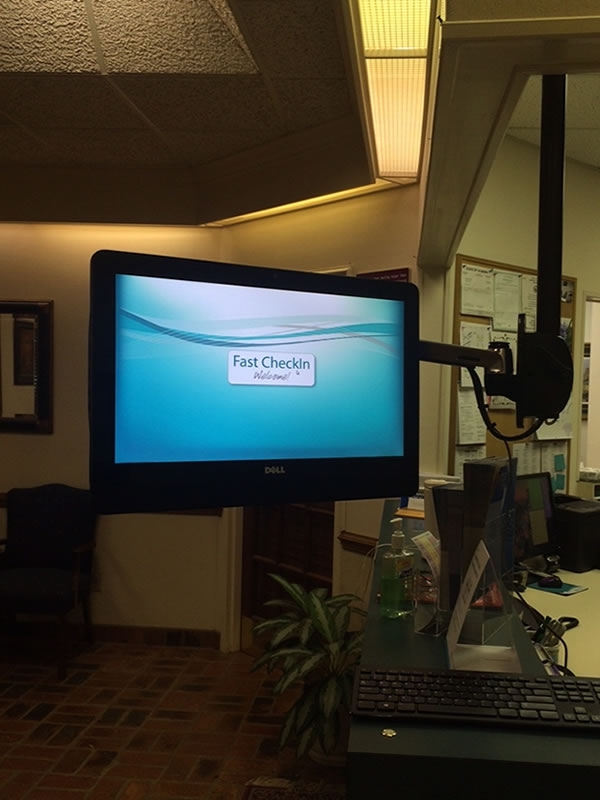 Another Pan Viewer configuration with a 32" HD monitor. 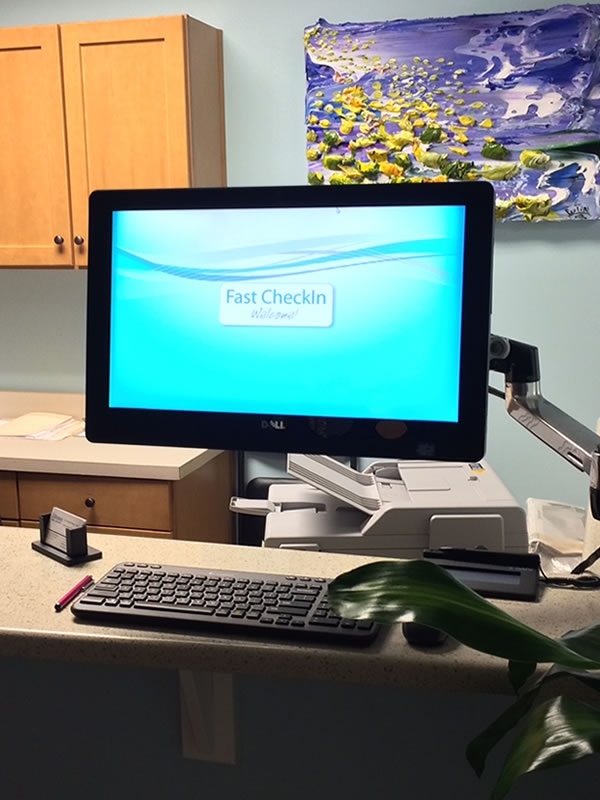 This illustration shows some of the versatility and flexibility of the patient check in terminals. 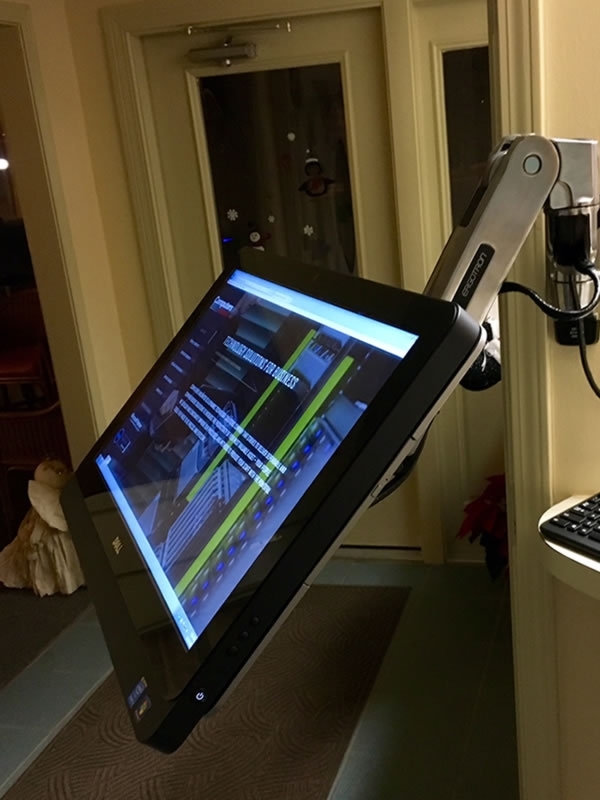 This is a stand up Technician Terminal with a larger 24" touchscreen and very flexible ergonomics to accommodate various sized personnel. 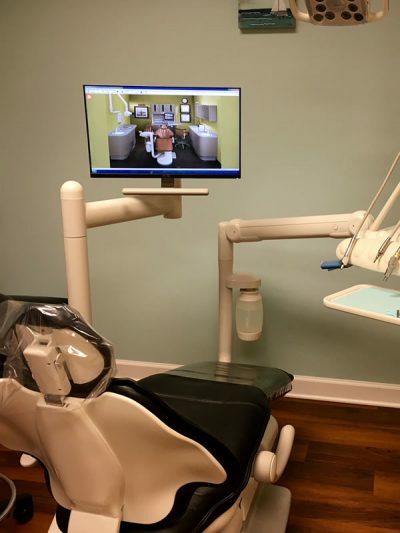 Front counter install. 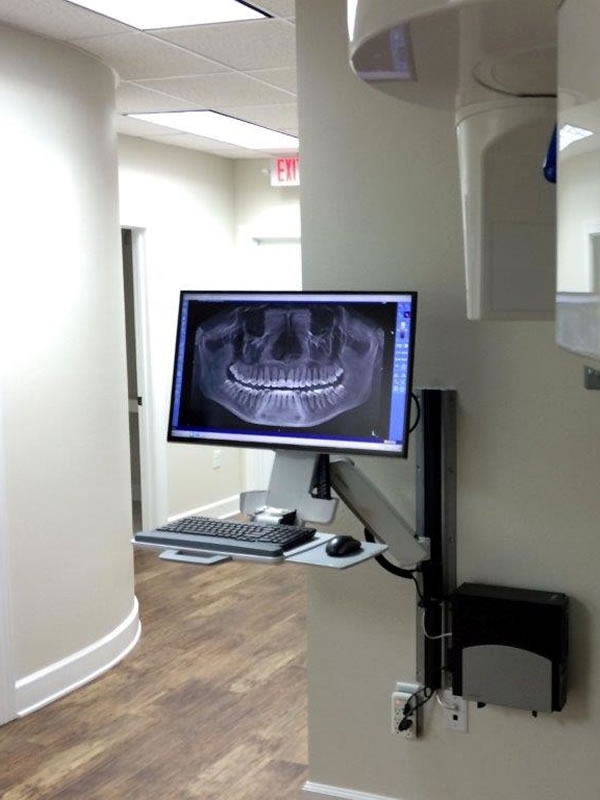 Pictured here are a 20" Patient Check-In unit and a wall mounted 46" Pan View / Consult station. 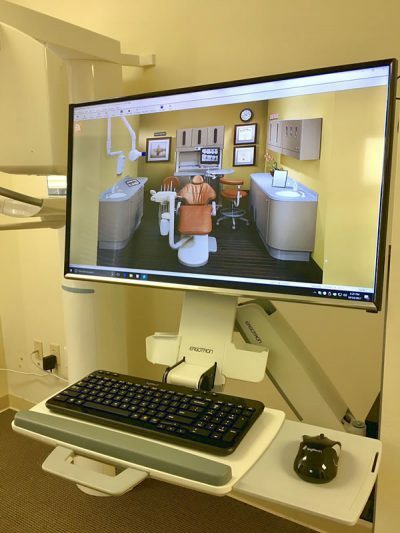 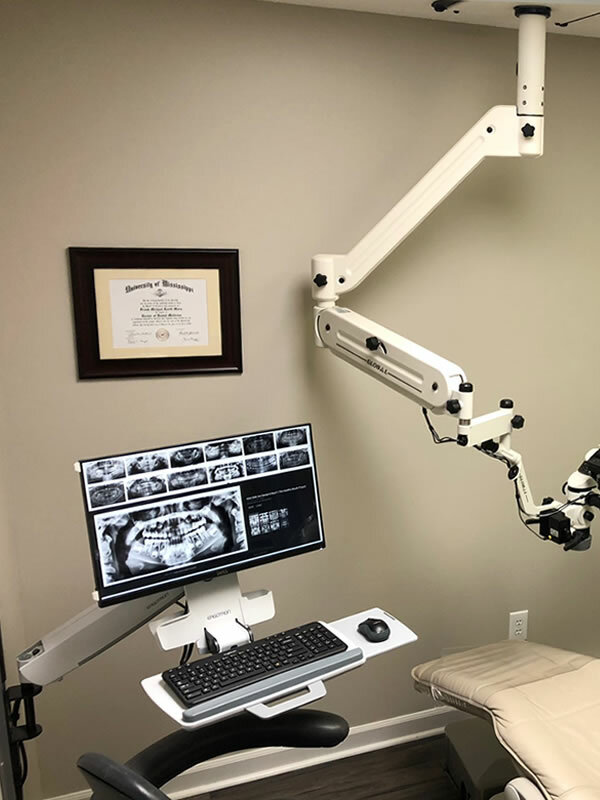 This is a Pan Viewer configuration that is used by many of our Dental industry clients to give their patients an instant look at a panoramic 2D or 3D x-ray. This illustrates how well the Pan Viewer stows when not in use. This poll mounted Patient Check-in configuration is used by our Dental & Healthcare industry clients to make the process quicker and paperless. 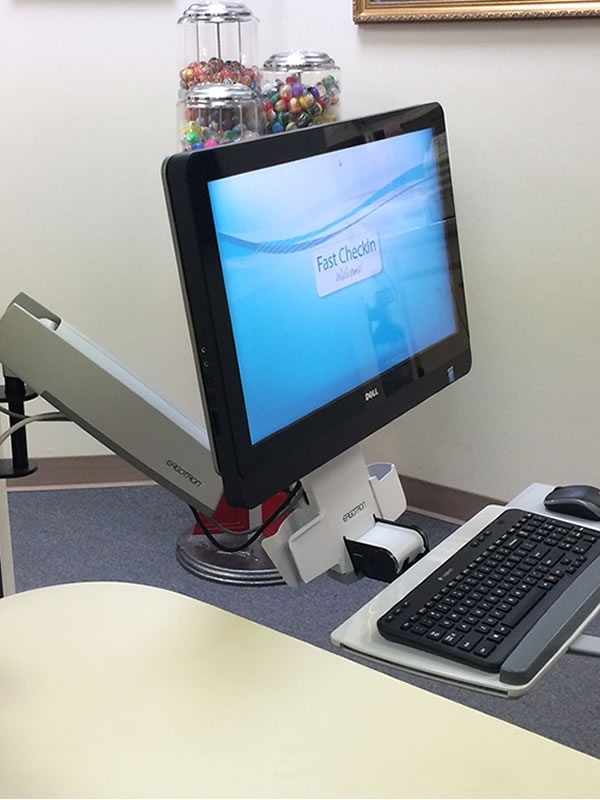 Wall mounted 20" touchscreen Patient Check-In configuration on a multi-pivot articulating spring assisted arm. 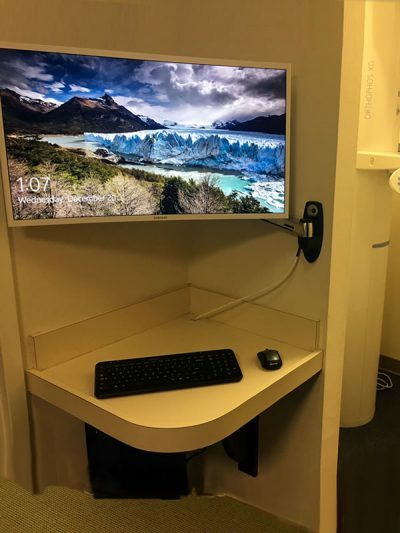 This is a sit-stand Patient Check-in configuration with a larger 24" touchscreen that allows patients to sit through the check-in process. 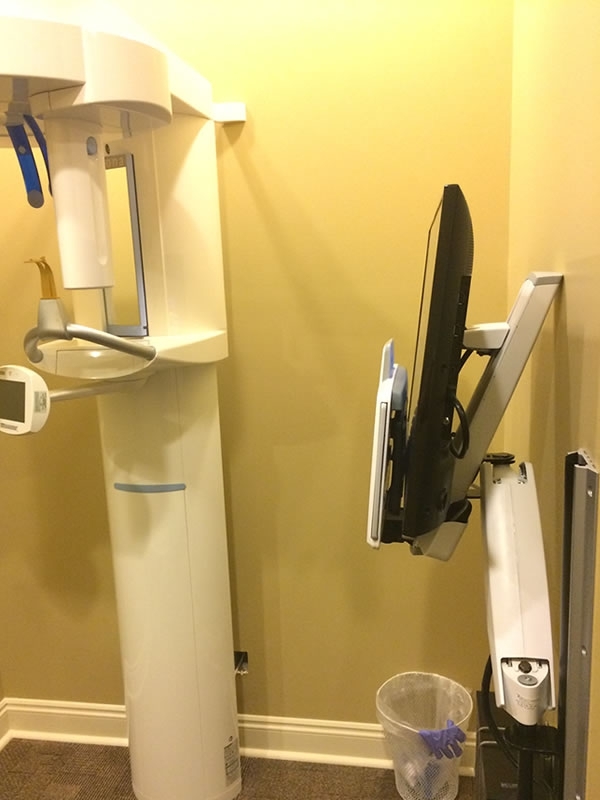 This is a wall mounted X-Ray Viewer & Control configuration.